GERRALOAD of Santa Claus. He’s a Crystal Palace fan. 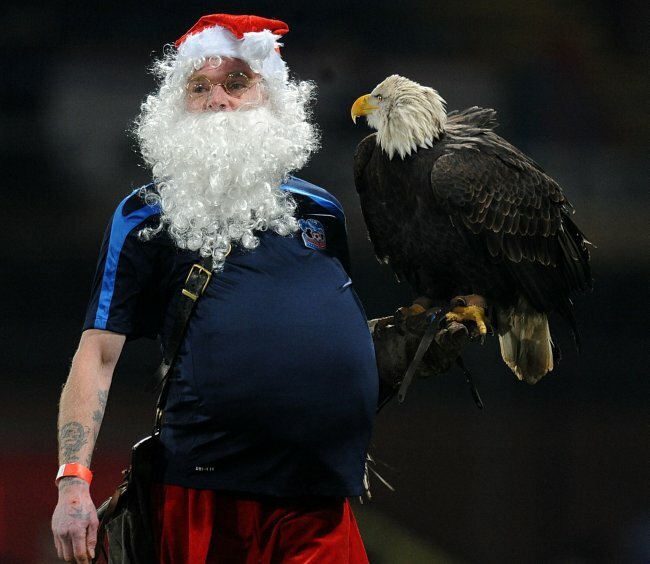 And so is his massive eagle… Can the Millwall lions top that?